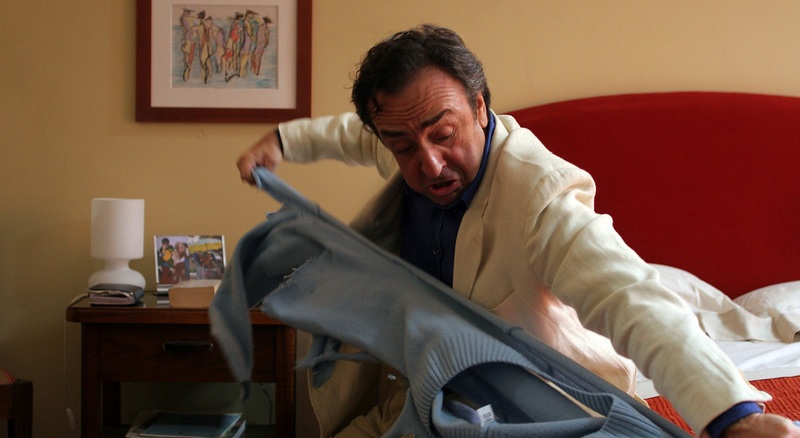 Director Nanni Moretti’s best-known film is The Sons Room (2001), which tackles the psychological effects on a family’s life after the death of their son. 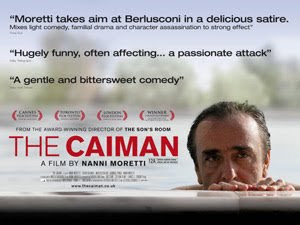 The Caiman (2006) is the story of Bruno Bonomo (Silvio Orlando) a bankrupt movie producer who is suffering distress in his private life and can’t get his latest project The Return of Christopher Columbus of the ground. By chance he meets a young mother who gives him a film script she has written, barely reading the document he takes it for thriller but on more careful study it turns out to be a movie about someone referred to as The Caiman, a thinly disguised Berlusconi. It’s a project that reawakens his enthusiasm, setting up the production, finding a suitable lead actor and arranging the finance at the same time trying to put back together his broken relationship, it’s a juggling act he finds hard to maintain. A film about a film that can be seen on two levels: a rather amusing comedy about a family relationships between a once famous film producer, his wife, who wants a separation and their two boys who reflect the trauma their parents are going through, at a second level it attempts a serious satire on Italian politics and their longest serving post war Prime Minister Silvio Berlusconi. I personally found it an interesting study about the role of a producer and although it does have a riveting conclusion, the two strands don’t away gel. Probable a reasonable knowledge of Italian politics would help your enjoyment of this film. Released two weeks before the most acrimonious Italian general election, it’s alleged that it was a factor in Berlusconi’s downfall! The attractive Margherita Buy play's Bruno's estranged wife.